This homemade body scrub recipe will save you a lot of money. It is so easy to make and takes just a minute or so. 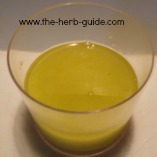 I make up a batch every month and use different herbs or essential oils as I prefer. 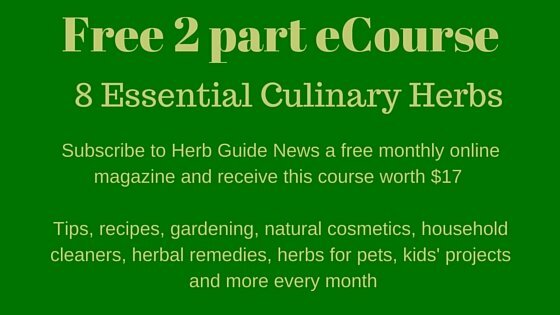 You can infuse fresh or dried herbs in the oil. It will make a lovely gift for friends or family and is simple enough for the children to do with your supervision. Use a mason jar with a pretty ribbon to make it look extra special. 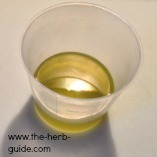 Try using different oils - jojoba for instance. If you use coconut oil, it will become solid in colder weather, but will soon melt again when you put it on your hands. 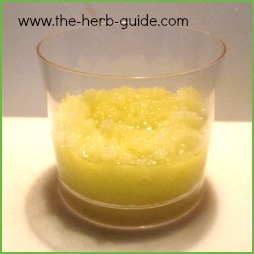 This super body scrub recipe can be made in next to no time. 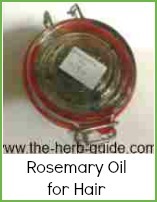 I'm using lavender essential oils in this but you could use fresh herbs or dried herbs if you prefer. 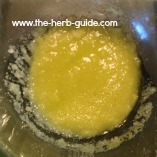 The instructions for making it with fresh herbs are linked at the bottom of the page - Homemade Body Scrub photo. 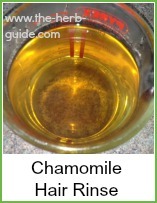 You will need around 30 mls (1/4 cup) olive oil. 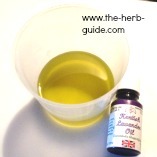 Essential oil of your choice - here I'm using lavender. Add about 30 drops of lavender and put it into the microwave for 30 seconds - this begins to release the fragrance. Use fine sea salt for this recipe. It's important to use something soluble like salt or sugar - some people like an oatmeal body scrub, but that doesn't dissolve in water and will block your drains over time. 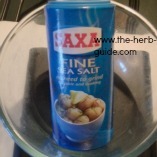 Weigh out 100 grams (1 cup) of the sea salt. 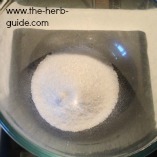 Make sure your bowl is dry - water dissolves the salt. Gently pour the warm olive oil - you may not need all of it. Mix it with an ordinary table fork until it's all incorporated. Pour the body scrub into a plastic container. This recipe makes enough for around 4 or 5 goes. It takes so little time to make, that I don't mind making one every two or three weeks. 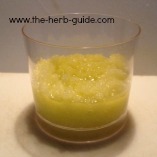 Use the body scrub after a bath or shower. Just rub it into your skin with your hands and rinse off. Your skin will feel silky smooth. Be sure to wash the soles of your feet before you try to move or you might slip! 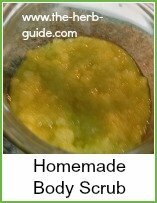 Quick and easy body scrub recipe for you to make either for yourself or as a gift.